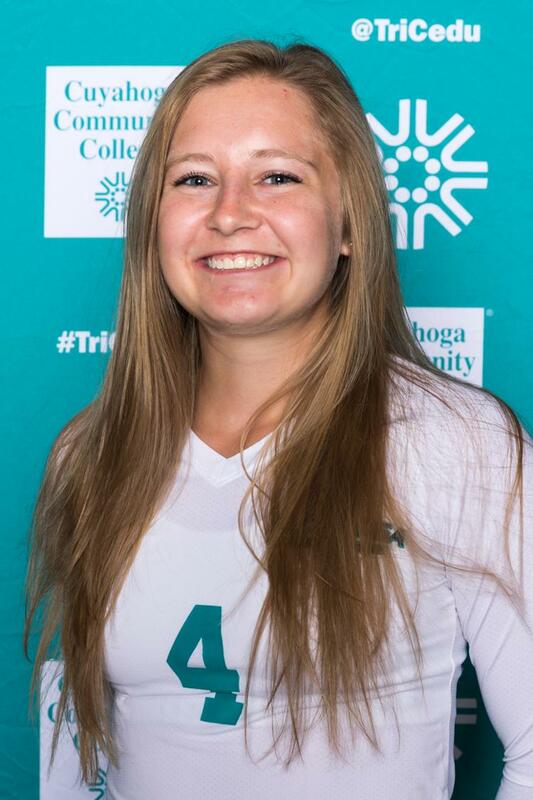 Cuyahoga Community College (Tri-C®) volleyball player Holly Hoffman earned Player of the Week honors from the Ohio Community College Athletic Conference for her performance Sept. 12-18. The outside hitter and setter became the first Tri-C volleyball player to claim the conference award in at least five years. Hoffman totalled 36 kills while leading the Challengers to conference victories over Lakeland Community College and Edison Community College. She also contributed 29 assists and 37 digs in the two wins. Hoffman, a graduate of Crestwood High School in Portage County, is undecided on her major at Tri-C. The sophomore student-athlete was named to the OCCAC All-Academic Team last season. The Challengers are 7-4 on the season and 2-1 in conference play. The team plays its home games at Tri-C’s Eastern Campus in Highland Hills. For a full team schedule, visit www.tri-c.edu/athletics.